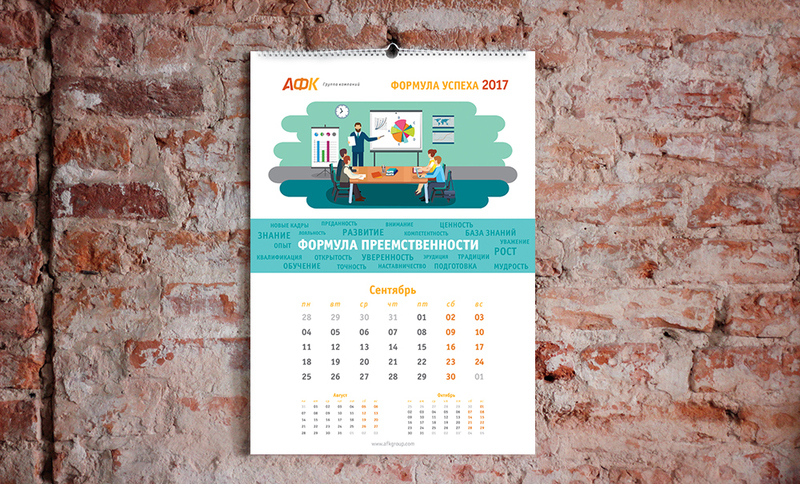 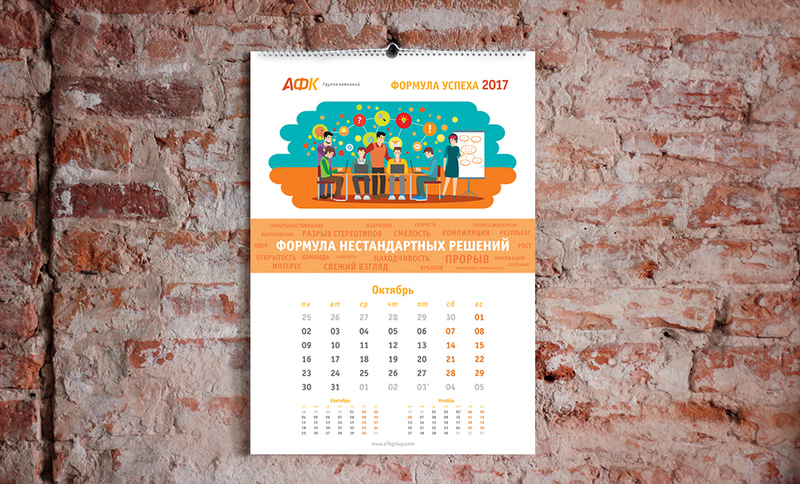 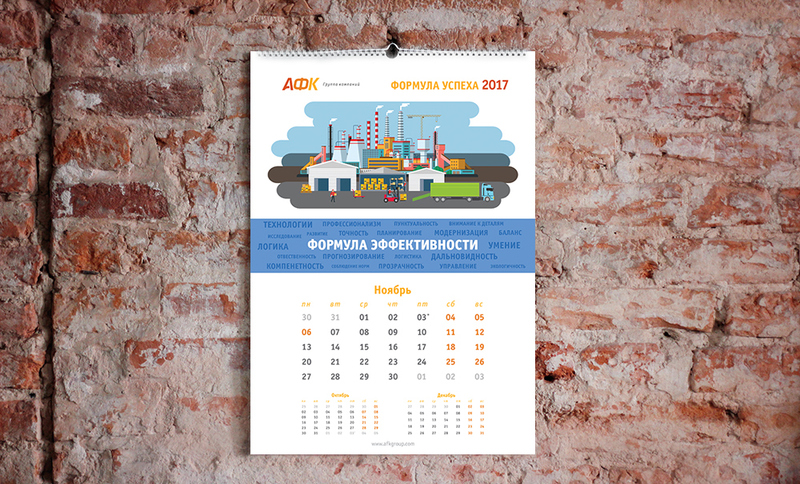 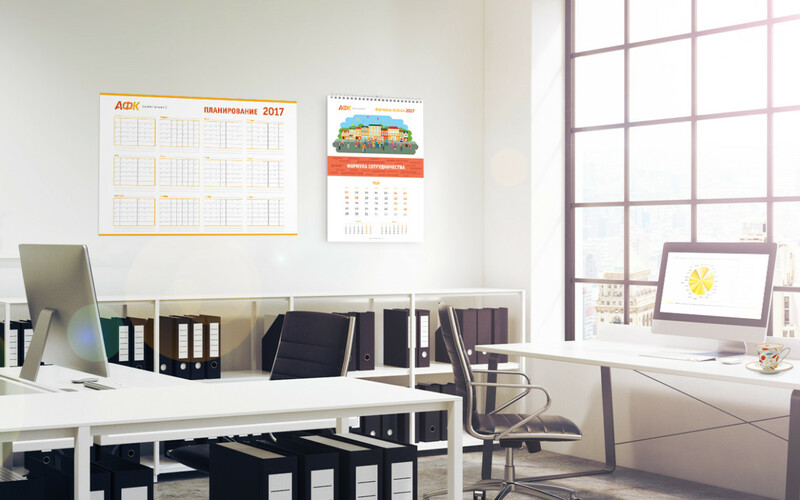 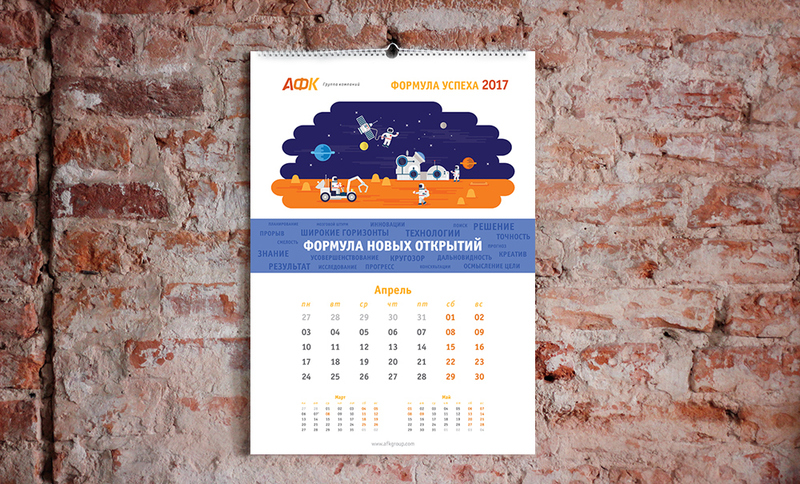 Calendar 2017 for financial company. 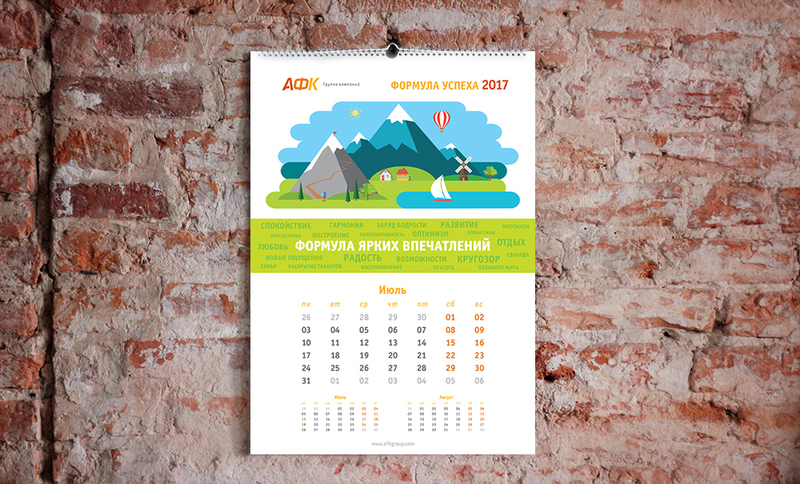 Every page contains one kind of ˝formula of success˝. 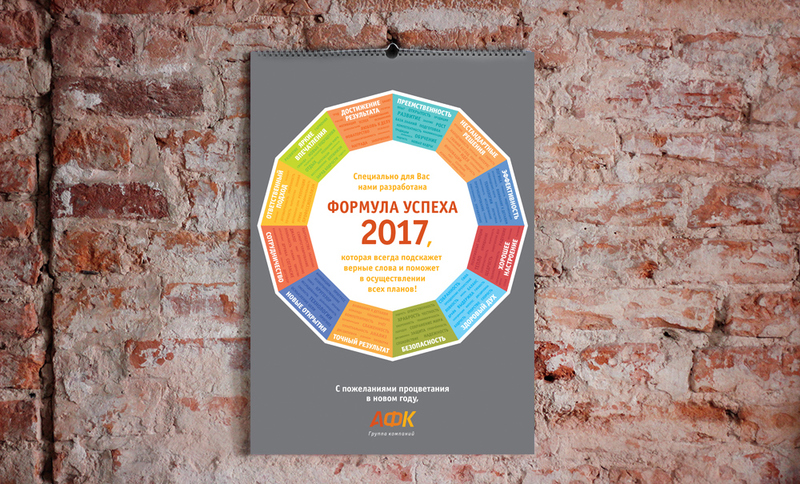 Formulas of healthy spirit, safety, accurate result, new explores, partnership, responsiblity, bright impressions, archivements, continuinty, new solutions, effecinicy and holiday mood.